HH, it is wonderful to take part in your travels. What a strange and beautiful scene! We have a similar lichen in our forests that we call “old man’s beard”. I’ve never seen it on stone. Sounds like it’s well named! The stones are beautiful in an eerie sort of way. I’ve never seen lichen, as long and shaggy as the lichen on the stones. I don’t think that we have that lichen variety around here. I thought it was unusual too Sheryl, so looked it up. It’s called fructose lichen and in the UK it’s only found in the western Highlands of Scotland and in parts of Wales. Don’t know about the rest of the world! 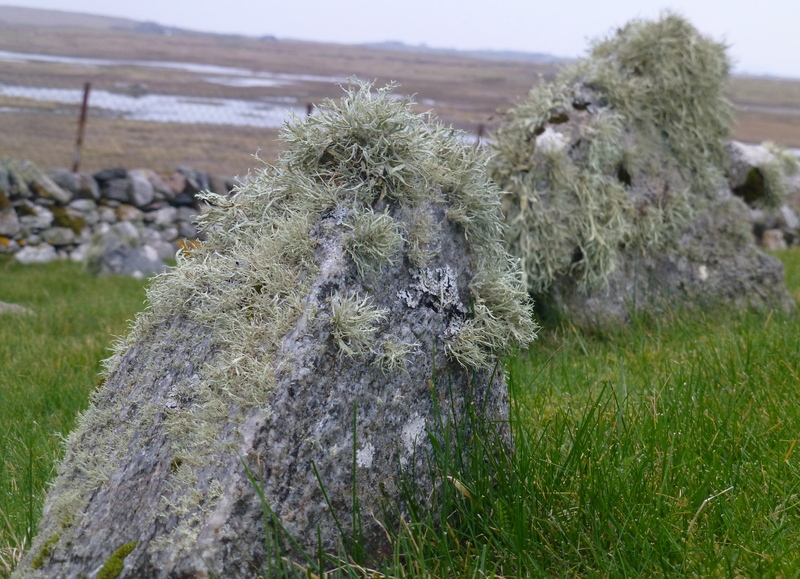 Those grave stones are simply amazing in their thick coats of lichen! I’ve never seen anything quite like that. I hadn’t either, and I’ve wandered round a lot of graveyards all over the world. 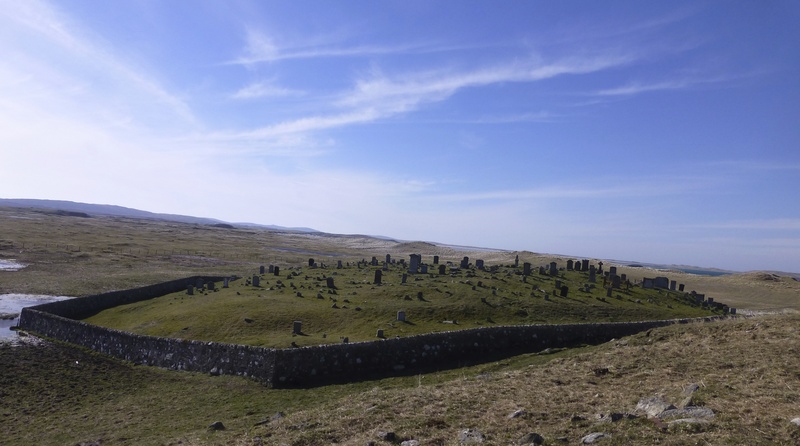 Loving your commentary and photos, my family is from Unst in the Shetlands, it looks very similar. I was in Unst last year, Lloyd and to me they feel very different; Uist is gentler, more feminine while Unst’s beauty is in it’s boldness and strength. I recommend you visit them both! Nancy, still loving your turns of phrase. Glad you’re on the move again and we have the possibility of more from you. Appreciate the feedback, Scott. I’m hoping to combine work with a nomadic summer in the camper, so I’ll do my best to share my view of Scotland. Inspiration for a Sci-fi novel! !